"Electromedical therapies when used skillfully are good solutions as interim measures but will not sustain one in the long run. Primarily, I suspect, they work by modifying cell membrane permeability and electrocution of some pathogens - thus allowing better nutrient uptake in the effected regions allowing for very rapid healing (again it boils down to nutrients and one's ability to utilize them). However, this is a double edged sword, as it can just as readily increase the uptake of toxins especially drugs and even some minerals, vitamins and herbal nutrients to excess. So one must be cognizant of this and work around this potential liability or use it to advantage. This also explains why some (those with highly toxic bodies) react as though they are allergic to these modalities." Extracted from a must read Re: Brain Tumor post. * The white cells (leucocytes) kill bacteria and pathogenic fungi by electrocuting them. Discovered by the team of Jacques Schrenzel and Karl Heinz Krause (university hospital of Geneva), this means of defense is triggered as soon as the receptors of the white cell detect the presence of a microbe. This signal activates an enzymatic system located in the membrane of the leucocyte composed of a 'sleeping enzyme' (NADPH oxydase) and co-enzyme (NADPH). The reaction begins by the enzyme 'waking up', receiving enzymes from it's co-enzyme, and transporting them through the membrane. Ejected out of the white cell, this electronic flux is focused towards the bacterium via oxygen molecules; and the bacterium dies. This discovery might open new lines of research on immunity deficiencies in patients who are deprived of this enzymatic system. Note: "The key thing is to apply the electrodes to the right area of the body; that is, to "target the germ". The germ has to be in the line of the circuit, the path of the power or it will not be affected by it." See also: Electricity the Mother of all Medicine patents and all! Those looking for advanced Godzilla projects can access this group here. Warning: electric current, even from seemingly harmless little batteries, can kill or injure in particular if you have a pace maker or such. It is suggested you review everything with a specialist who knows which end is up! "We have simplified our lives by using just a 6 volt battery available at most drugstores or supermarkets, and a piece of wire. That's it, no more to it. What you are seeing is SO simple there's no reason why anyone would hesitate. It's taken a long time to discard the unnecessary and arrive at this solution for people who have no means (not just financial, but skills) to build devices. This is not really a "device" at all. It is just a piece of wire you attach to a battery!!! Some of you may want reminders about it, so I will send out the message about Apprentice Godzilla every month or so. I'm usually at the group site, so I see things, while you may be relying on email alone to communicate with the group and give/receive information. Apprentice Godzilla design allows you to make a few sets of wires, maybe one set with only a little cloth wrapped on the ends. Another set can be wrapped with more cloth, to lower the power output for delicate skin, like the facial area. You will find out a lot by getting one of these batteries and a wire, and simply hooking it up. ...what it is based on... Einstein college of medicine study in our files, that showed HIV safely reduced 99 percent in 3 minutes in a lab. 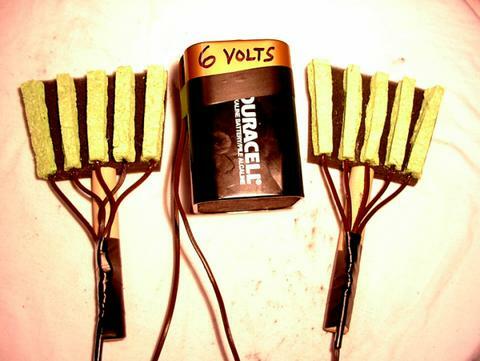 A battery and piece of wire is the simplest "Godzilla". Godzilla devices all apply power from a small battery directly to germs. The power is measured in milliamps and is on the order of .2mA-.5mA (very low). As a comparison, to kill a person with a battery you need over 300mA, and even then it is not easy to do. It has no frequency. Battery and wire can be assembled by hand without any prior skills or knowledge. The Godzilla design idea is brute force-plus-simplicity. The best yet, build this!! Some godzilla devices have switches to reverse the positive with the negative. This is to prevent the battery electricity from making chemical changes in the body which can result in some soreness (temporary). The Apprentice Godzilla has no switch. You switch the placement of the electrodes (or you can switch the connection of the wires on the battery). It's important to do that after 5-10 minutes or so. Other godzilla devices switch every 30 seconds automatically and have power meters in them so that you can adjust and know exactly what level of power you are using. Going by the meter, you can check it. Such devices are sold by a guy named "V" who posts on the list once in awhile. With Battery and Wire, you can still adjust the power easily without building any devices. To lower the output, add a bit of twisted wetted cloth, or rope, heavy string, etc in between one wire and where it connects to the 6 volt battery. This will turn down the power. The longer this string, the lower the power. You can go way low for the facial area, way high for warts or toe fungus, etc. The highest power is when the wires connect directly to the battery. Even so, it is considered by many to be safe (not fda tested, but lower than some things they have tested, like TENS devices). Indirectly on Einstein college of medicine study in our files, and modified by Robert C. Beck, who did clinical trials with it but the results were not published. Others have done a clinical trial on malaria that is in our files and shows great promise. Beck devices rapidly reverse the current a few times a second auto- matically. 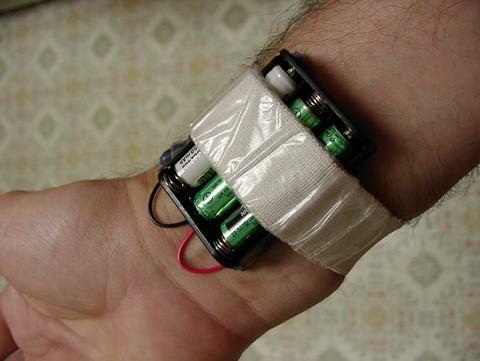 It has two small electrodes that are worn on the wrist and apply the electricity to the bloodstream. It is supposed to be used as part of the "Beck Protocol" (google that if you want more info). Beck was one of the pioneers and best known for taking the concept of the Einstein college of medicine HIV into human testing. The writings of Hulda R. Clark. Clark's device aims to shatter microbes by resonance..to actually shatter them into bits. The current may be applied to palms or to wrists, etc and it's supposed to vibrate them to death. The current in a Clark Zapper is turned on and off again rapidly; it is not reversed. Clark's Zapper goes from 0 volts to some positive voltage, and back to zero. Same as turning on a light switch, then turning if off again. An excellent Zapper design is here. The works of Royal Raymond Rife, whose microscope and techniques are well-documented elsewhere. No clinical studies are available, though they are reputed to have been done many years ago. Similar to Clark's idea (shatter the target), except the electricity is reversed very rapidly (AC current) instead of just turning it on and off. There are many variations of RIFE devices, but all are aimed at damaging microbes by a sort of shattering or shaking them around. TENS DEVICES Transcutaneous Electrical Nerve Stimulator. This is not intended for use against microbes. It outputs a very short high intensity current that will not be sufficient to disable microbes since the duration is too short. Where the battery is used for 20 minutes or more, the TENS device output only exists for a few millionths of a second. It has little or no effect due to this. If the duration were to last longer, the TENS device would be dangerous due to the high output. It's like touching a doorknob on a cold day after walking across the rug, jarring, but harmless. MAGNETIC PULSERS These use powerful electric currents to create powerful magnets placed near the illness. They turn on and off, or reverse the current in the magnetic coil so as to create a rising and falling magnetic field. This is not the same as putting a simple magnet next to the illness. The magnetism has no effect on microbes. Instead, the sudden change in magnetism causes the iron and other metallic substances in the body to have an "induced" electric current. This current only exists while the magnet is switching "on" and "off". Once the magnet is activated, the current stops. That is why a permanent magnet will have no such effect on the body, will NOT induce an electric current, and therefore has NO effect on microbes. The magnetic pulsers are usually larger devices, expensive, etc due to the needs for electronics circuitry components of very high quality to handle the constant interruptions and surges of electricity through the device. 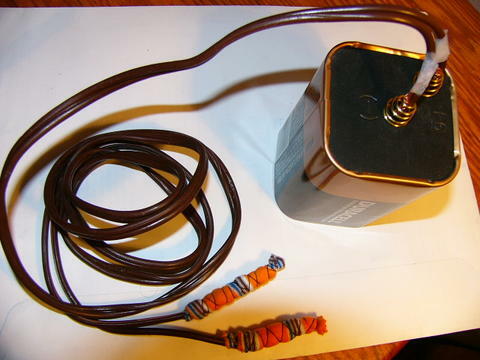 You can Build a Low cost & simple Magnetic Pulser for less the $50. The key thing is to apply the electrodes to the right area of the body; that is, to "target the germ". The germ has to be in the line of the circuit, the path of the power or it will not be affected by it. To do that, you have to know where it is. Google can help you to understand the location of a germ that you are after. I strongly advise people find out what it is, and where it is before they chase after it. For a more detailed description of such devices see: Zappers and other Gizmos 1-2002 by Richard Loyd is here. A very good start to cheap health. Has any body tried to take a small portable digital radio, and hooked the bare speaker wires [with a wet spoonge, up to the skin?] I think this would give you a pulsed wave in all the audio frequencies, like a rife generator. I donot have the means to properly test a device in a SCIENTIFIC WAY. Please send me results, good or bad. I WONDER IF THE GODZILA WOULD WORK AS A SNAKE BITE DEVICE. Hi Chris, thank you on behalf of humanity for sharing this info with everyone. I was wondering if you have all the details and schematics for building the Dr Bob Beck equipmets and maybe on my next trip to China I can have someone make one for me as I have no knowlege on electronics. Do you have the info in a PDF or something? Do you also know if this works on HIV patients? Your help is really appreciated brother. Keep up the great work. Thanks and much love. The full protocol is at: "Take Back Your Power" (1MB PDF). hi and tanks but... im having real troble to get the parts to make my Blood eletrificator I am from the uk and it seams that the parts sold in here are diferent from the ones in the USA i contact some companies in the US and all gave me the "sorry we dont send it internacionaly" any ideas guys ? please help. What about a cheep device for treatment resistant depression? Please! !